Disclaimer: I own absolutely nothing. 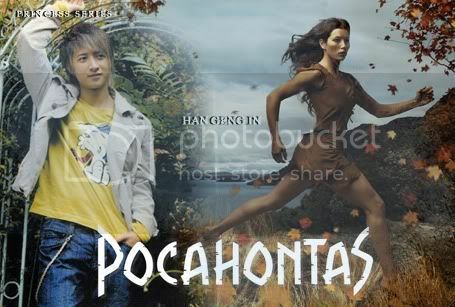 Super Junior belong to themselves and Disney interpretation of Pocahontas belongs to Walt Disney. Summary: Han Geng has always ventured out into the world - but one day, the world ventured to him. Disclaimer: I own absolutely nothing. Super Junior belong to themselves and Snow White belongs to the Grimm Brothers and Walt Disney. Note: So, since this is the 'Princess' series, this story focuses more on 'Jasmine/The Princess' and...not so much the lamp. Summary: Kibum has always obeyed the orders of his surrogate father Jungmo, not knowing that Jungmo was planning to one day kill him. Summary: KyuHyun and SungMin just wanted to spend a nice day, walking around on the Christmas market when they meet HanKyung and KiBum, having a serious conversation. SungMin, who had been smiling happily before, suddenly became silent at seeing KiBum on the verge of tears, which were sparkling in the colorful lights. Warning: None that I can think of. No beta so forgive any errors. Disclaimer: Not real, never happened. They don’t belong to me. Summary: Kibum finally answers the call. Author’s Note: The first fanfic I’ve done in months. My 32nd entry for the 100 fic challenge. Prompt 034 Acceptance Hankyung/Kibum. A/N: I love this pairing <3 one of my OTPs for sure. The title name comes from the very talented (and I am part of their fangroup <3) CSJH. Summary: And Hangeng finds himself fighting again, trying to fit in even more. Summary: Rejection hurts - but Eunhyuk bounces back. 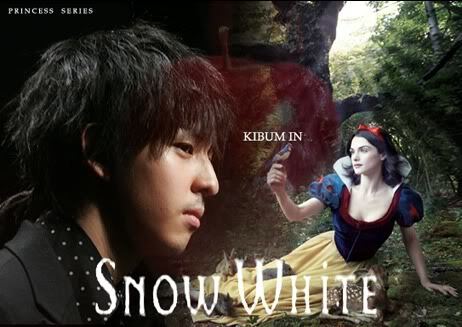 summary: Kibum didn’t want Hankyung to leave Super Junior and go back to China. Summary: Kibum feels no pain, just an overwhelming desire to taste every inch of Han Geng he can reach. The music is loud, the lights are too bright and the alcohol is stale. warning: there is some violence in the beginning. Summary: "You're really persistent." Kibum uttered, gagging at the rusty, bloody taste of his lips. Summary: Today was an especially grueling day at work for Hankyung. All he wants to do now is take a hot shower and relax in bed with a cup of hot tea. But perhaps he won't need any of those when he gets a phone call of good news from his best friend Kibum...! Summary: When Kibum asks Hankyung to be his baby's godfather how can he refuse? It turns out that the birth of his godson is an event that changes his life. "Of all the people in the world," Hankyung said softly for Donghae's ears only, "You are definitely the cutest. I am proud to be a part of your life." AN: These are some snow request drabbles I have been working on for the past couple of weeks as I have been, uh, enjoying the massive amounts of snow we got where I lived. I hope you enjoy these! Summary: It is hard to be a superhero that protects the city, especially when you have to protect it from a cute boy who happens to control the weather with his emotions. Summary: All Kyuhyun has left to do in this world is play his video games. Zhou mi has other ideas. Summary: It wasn't Kyuhyun's idea to go on a short self navigated trip while in China, but Heechul isn't the safest person to let out alone. Summary: Snowed in while on a business trip with various members of the new company he now works at, including his boss Kibum, Hangeng finds that they must find something to entertain themselves while waiting to be rescued. Pairings/Characters: Kyumin, Yewook, Sichul, KangTeuk, EunHae, Hanbum, and Shindong/unnamed fiancee. Summary: Heechul has forgotten to be suspicious after Kyuhyun's birthday party. He, eight other members of Super Junior and ELF are in for a brow raising surprise. Summary: Kibum is sick of everyone telling him. That he is a terrible boyfriend to Hankyung. Summary: Kyuhyun is convinced it will take a life time to discover all of the different kisses. Summary: Some kisses are best alone, or with an observing audience. title: Foreign Territory - Part 3 of a few. summary:hankyung proved to kibum that he was not drunk and then hankyung wanted to have s*x with kibum just like the others except kyuhyun and sungmin.THIS IS A SEQUEL TO "is hannie drunk?" warning:use of handcuffs! !and melted chocolate? !o.O SO DONT EAT CHOCOLATE WHILE YOU READ THIS! !I'M SERIOUS!! A/N: THIS IS A FIC REQUESTED BY 8lucky8 !!! !i know i didnt post a fic in a very long time and i'm so sorry..i've been getting sick all the time....and yeahh....so please enjoy the convo and i just noticed that th convo was.....umm....colourfull...HAHAHAH xDD and i think it's long~so please enjoy!!! Summary: Kibum is leaving Super Junior and Hankyung does everything he can to try and stop him. Including sharing his long-buried feelings. But will it work?